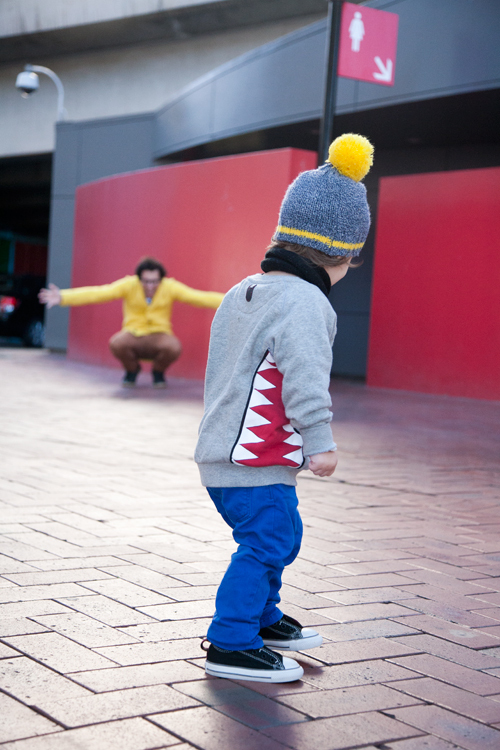 This week’s kid’s fashion blog we love is The Tiny Times. The Tiny Times is a photo blog about growing up. It is written from the view point of a toddler boy. It parodies the format of a fashion blog/newspaper as a way of keeping family and friends on the other side of the world up-to-date with his life in a cute, humorous – and stylish – way. He wears great clothes and states where they are from. The Tiny Times has had a lot of popularity and has been featured in many publications. 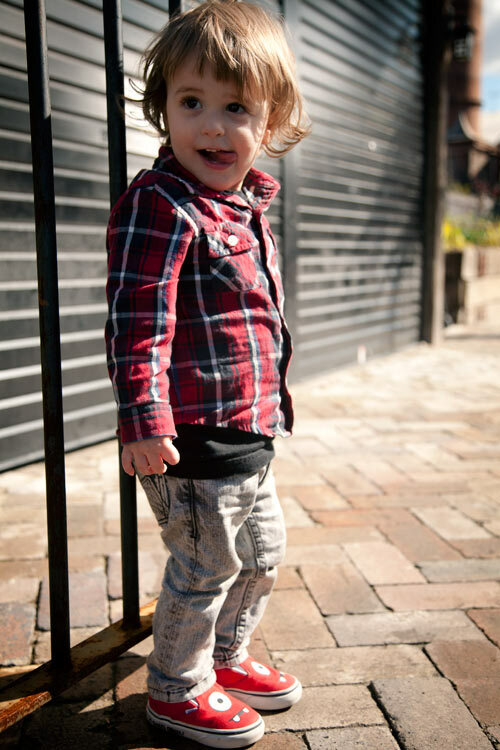 He is a baby, he is a blogger and has been sharing awesome outfits and adventures since 2011. Karla, the author at The Tiny Times took the time to answer some questions about the blog, fashion trends, her fashion inspiration and even gives a little advice to all of you. What made you want to start The Tiny Times? We live on the other side of the world from our family and friends. A blog like this is a beautiful and fun way to keep everyone up-to-date. It was never really meant to be about the fashion! When I started the blog I thought the angle of mimicking a street style blog would simply be a cute and humorous way to share with everyone. I actually don’t have a fashion background and don’t know much about trends or labels! I think things that are classic and practical will always be popular. Pea coats with a nice set of boots is always a winner. Clothes obviously need to be practical and comfortable first and foremost. Just buy what you love and as your child gets older allow him/her to get involved if they want to. Fashion is a great way to learn self expression and individuality however not all kids will be receptive to that lesson so make sure your shopping habits reflect your child’s personality and interests in that respect. On a practical note, I always buy very big and let my son grow into things. If he really loves something I will get two sizes.